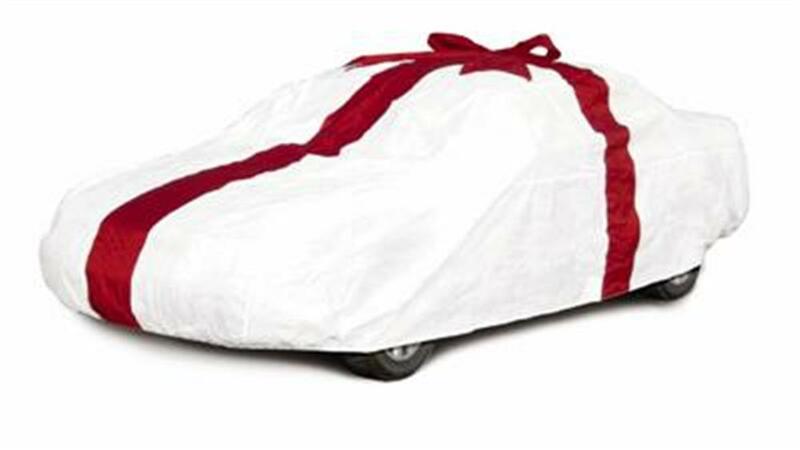 This one-of-a-kind gift look car cover allows you to ™gift wrap™ a vehicle without any hassle. The white gift car covers feature a red satin ribbon stitched around the cover and a matching bow™.for that special someone. Available in three universal sizes to fit cars up to 19-feet long.